For the truly discerning reader, Western literary culture today leaves much to be desired, skewed away, as it is, from the metaphysical to the secular and materialistic. This is the largely unspoken philosophy of literature which has held sway for much of the past century, perpetuated by academics, critics, literary festival organisers, awards and competition judges and the vast majority of writers. To be fair, few would realise a cultural ideology is being applied; they’re simply following a fashion, a trend, the status quo, without even thinking to question it. And, of course, the vast majority of readers, to whom such a profound issue has never been presented, are unconsciously and innocently complicit; although, looked at another way, readers have been starved of their deserved literary sustenance. 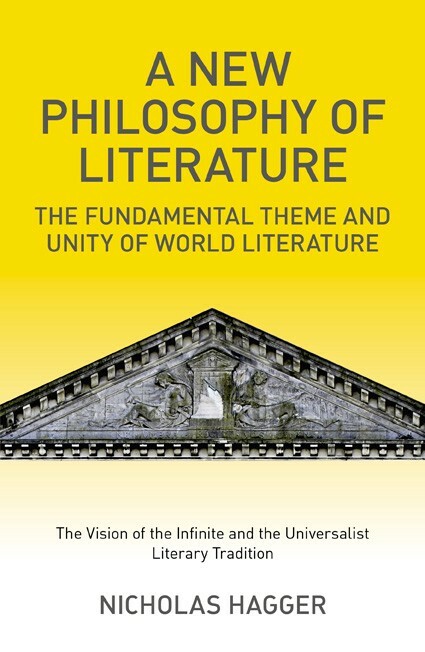 Therefore, I regard Nicholas Hagger’s call for change, in his monumental A New Philosophy of Literature: The Fundamental Theme and Unity of World Literature (O-Books, 2012), as being of immense importance for literary studies and deserving of the widest readership. It brings to our attention that there is an alternative paradigm available for ‘serious’ or ‘literary’ fiction and poetry in the third millennium, if writers and critics have the courage and the imagination to take it up. This is why I’ve written about Hagger on these Medium pages already, but not separately with regard to A New Philosophy of Literature. I’m glad now to rectify the position. 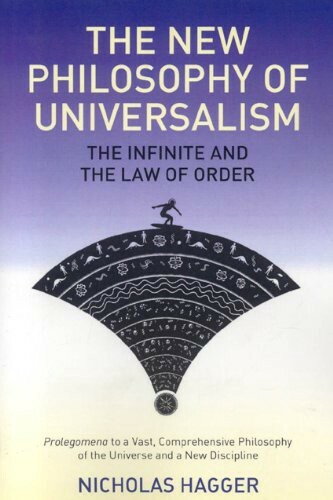 In a preceding book, The New Philosophy of Universalism: The Infinite and the Law of Order (2009), Hagger introduced a philosophy restating the order of the universe, the oneness of humanity and an infinite reality perceived as light. Referring to ‘the Light’, Hagger means the metaphysical reality perceived in all cultures as ‘the secret Light of infinite Reality’, to which the universal being, or self, behind the rational, social ego, opens. He called for a new discipline to focus on the universe, nature, science, evolution and the rise of intellectual consciousness, and to seek evidence of a universal order as opposed to randomness; essentially, a unification of philosophy and science to engender a holistic world-view to counter that of the materialist. In his terms, briefly, universalism focuses on the place of humans in the universe and the ‘universal being within the self’ — and therefore the oneness of humankind — as well as the universe itself and the ‘universal order principle’. Such an approach is required, I agree, to restore the universe to philosophy after a century of exhaustive concentration on language and logic. Accordingly, Hagger’s new philosophy of literature embraces a reconciliation of secular and metaphysical traditions and provides an accompanying vision of the universe, of the infinite and eternal, from microcosm to macrocosm. Literary universalism reflects Hagger’s inspirational approach across philosophy, history, religion and politics. For me, the metaphysical is indeed preferable to the secular in this context because it reflects a shift from ego-consciousness to consciousness of a deeper self. Crucially, a writer cannot be universal if he or she is trying to please other people, or a group of people. You can be universal only if you are fully yourself, if you are clearly ‘who you are’. In A New Philosophy of Literature, Hagger states the fundamental theme of world literature, the main plank of which is the revelation that the universe is ordered and permeated by an infinite reality which humans can know. He makes the case for a revival of literary universalism which, at the very least, would require the prevailing culture to examine its values. 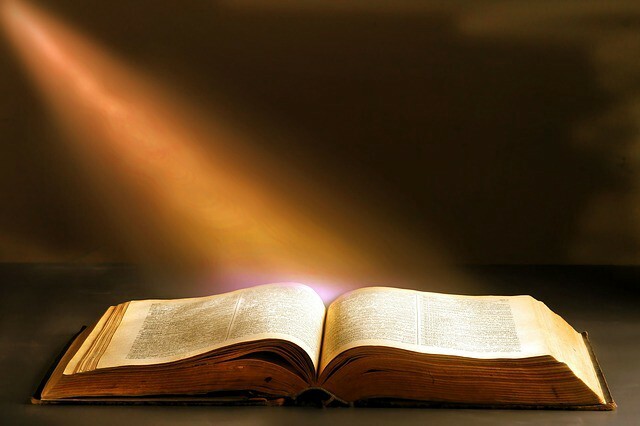 He shows that this traditional material has been restated in the literature of every culture and age, and that the search for an ordering reality behind and within everyday life was stronger originally than secular writing which, of course, holds sway today with deeper meaning having been lost. On the first page of A New Philosophy of Literature, Hagger comes straight to the point that, at present, we have a materialist literature with merely a personal and social reality, ‘presenting life in an accidental universe of purely physical processes that are devoid of purpose or meaning’. He admits that his desire for a revolution in Western literature is in fact a call back to tradition, and his springboard is the thinking in T S Eliot’s essay, ‘Tradition and the Individual Talent’ (1919), in which poets are urged to cultivate a historical sense and a feeling for ‘the whole of literature of Europe from Homer’, and to be aware that no poet ‘has his complete meaning alone’. How deeply the fundamental theme of world literature is reflected in the traditional Western canon is immediately apparent, offering a powerful justification for the retention of it — if such justification was ever actually necessary — in the face of what Harold Bloom famously called the ‘School of Resentment’. One finds it particularly rewarding to read Hagger alongside Professor Bloom’s The Western Canon: The Books and School of the Ages (1994), Mark Roche’s Why Literature Matters in the 21st Century (2004), Margaret Anne Doody’s The True Story of the Novel (1996), Northrop Frye’s Anatomy of Criticism (1957), and Michael Schmidt’s magisterial works on the history of poetry. One finds much that is complementary and mutually sustaining. Roche, for example, is concerned with literature as a teacher of virtue, and that there should be a return to it as a repository of human values. In a technological, secular age such as ours, he proposes, literature gains in importance precisely to the extent that our sense of intrinsic value is lost. Hagger argues that, through time, literature has alternated between secular and metaphysical aspects: a quest for reality and immortality and condemnation of social vices in relation to an implied virtue. These alternating aspects, operating according to stages of history, and which can operate also within an individual writer’s body of work, symbolised by light and shade, constitute a dual character. The metaphysical aspect may be broadly interpreted as the age-old ‘quest’ theme. Since classical times, the two antithetical threads have occasionally been synthesised by the key universalist writers Hagger examines, from the Graeco-Roman world to the Middle Ages and the Renaissance, to the baroque, neo-classical, Romantic, Victorian and modernist periods. The lessons of the past need to be relearned in terms of traditional taste: the greatest poetry, from Chaucer to Eliot, has pointed the way to transcendence, which is the goal of the quest for reality under the metaphysical aspect of the fundamental theme of world literature. Poetry is much needed in such a time as ours of information overload but, as Hagger regrets, English poetry appears to be in terminal decline. One can see easily how literature in the English language, and especially poetry, has been mired in secularism for considerably more than half a century, since the mid-1950s, having acquired, in the main, that ‘personal and social reality’. This is largely in abandonment of the grand metaphysical and universalist tradition in favour of the secular. A few years ago I had occasion to review Wiley-Blackwell’s new edition of A Companion to the Philosophy of Literature, its essays gathered under various headings such as ‘Emotional Engagement and the Experience of Reading’, ‘Literature and the Moral Life’, ‘Literary Language’ and ‘Narrative and the Question of Literary Truth’. And yet, these works were really to do with philosophy about literature — and analytical philosophy at that — rather than philosophy of literature, as Hagger proposes. In this case, ‘the latest critical thinking concerning the philosophical study of literature’ (as the book describes itself) is not the same thing as critical thinking concerning the philosophy of literature, and thus had its limitations, its blinkers. My view is that analytical philosophy has led itself into a blind alley and, in general, removed philosophy from consideration of pressing issues which confront today’s world. Indeed, it seems to me there is no other academic discipline that has suffered for so long as philosophy has under such a huge misapprehension as to what its basic task ought to be. Instead of continuing to engage in arid conceptual analysis, it should keep alive awareness of, and try to solve, our fundamental human problems, intellectual and practical. This is why literature, as well as philosophy, needs to be existentially renewed in the 21st century, but such renewal cannot happen if prevalent forms, styles and conventions stay the same; the modalities of literature and philosophy need to be reinvented. As the philosopher-novelist Colin Wilson (regarded by Hagger as a universalist author) has asserted, literature needs to be assessed in terms of its capacity to satisfy the depth of human need, to clarify the image of what we might yet become on the evolutionary ascent, taking existence as the standard of value in direct opposition to the limiting personality, to the standpoint of ‘normal’ everyday consciousness which is so limited in scope. One must ask how far literature succeeds in revealing existence and consciousness as potentiality — consciousness, I would say, best regarded as a universal, participatory field, indeed, the very ground of being, from which inspiration arises, and not the product of the brain, which is the narrow, reductive-materialist view. Today’s scientific and philosophical controversy over the nature of consciousness does not form part of literary debate yet it is as important for literature as everything else because, if it was accepted that consciousness gave rise to matter, and not the other way round, then the whole of life and existence would be seen in an entirely different light. How, and if, this could happen, let alone when, is another matter, our existing institutions, both academic and social, being part of the problem; and yet, the inherent human desire for transcendence — the depth of human need referred to by Wilson — itself ultimately could drive such change, and might yet lead to an eventual solution. It would involve a decisive move away from a generally pessimistic and materialist literary culture to a more meaningful, post-materialist one — the prevailing physicalist scientific paradigm being overtaken at the same time — bringing the metaphysical back into balance with the secular. All this might seem rather abstract to some but, from such thinking, clear, definite and positive developments can arise accordingly in the world. Nicholas Hagger has lectured in English literature at the University of Baghdad in Iraq and the University of Libya, and was a professor of English literature at Tokyo University of Education, Keio University and Tokyo University in Japan. He has studied Islamic and Oriental philosophy, and led a group of universalist philosophers. He was awarded the Gusi Peace Prize 2016 for Literature. He is the author of 46 books, comprising a substantial literary output of more than 2,000 poems, including more than 300 classical odes, two poetic epics, five verse plays and a masque, 1,200 short stories, travelogues; and innovatory works in literature, history and philosophy. His catalogued archive of papers and manuscripts is held on permanent deposit as a special collection in the Albert Sloman Library at the University of Essex.